This is a scalable context timeline. 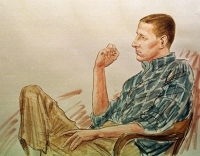 It contains events related to the event June 3, 1997: Nichols Trial Not Expected to Be as ‘Smooth’ for Prosecution as McVeigh’s. You can narrow or broaden the context of this timeline by adjusting the zoom level. The lower the scale, the more relevant the items on average will be, while the higher the scale, the less relevant the items, on average, will be. 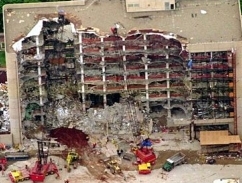 on April 19, 1995, McVeigh “caused the truck bomb to explode” (see 8:35 a.m. - 9:02 a.m. April 19, 1995).